When you want to make a difference but aren’t sure how, it’s time to say, “Lord, help me see what I can do best right now!” When you do, you’ll discover that thing you can do better than anyone else. It may seem simple, small or easy. But it won’t be for that person you’re reaching out to. In fact, it probably will be the best thing she’s experienced in a long time. So make a priority today to let God help you do what you do best. Listen. Listen with your heart. Listen with the expectation you’re going to hear God’s voice. And listen to discern what God’s saying to you. It may be a gentle Word that tells you how much God loves you. A convicting Word that calls you to experience your life differently. Or a transforming Word that enables you to live in a brand new way. But regardless of what it is, it will always be a life-giving Word. Yes, listen to God – because your God has something special to say just to you. You see what you’re used to seeing, been conditioned to see and want to see. One of God’s greatest gifts is helping you see old things in brand new ways. The homeless person is a child of God. The person with whom you radically disagree about politics is a sister in faith. Or the criminal doing hard time is infinitely valuable to God. So take a careful look today at the world around you to see what God sees. Then get ready. Because your new view may lead to a new you. You experience deep pain when you are hurt by someone. Ironically, you also experience it when you hurt someone. You have lots of options about how to respond when you are in pain. You can go into denial (it’s not just a river in Egypt), express anger (the best defense is an offense) or rationalize (but I have a really good reason). These things may numb the pain for a little while, but it will come back. That’s why you need to give your pain to God. When you do, God wraps you in love, tells you the truth about what’s really going on and helps you move beyond what’s now past. It’s real love for real people and it really makes a difference. Obituary for William Kenneth Goddard Jr.
William Kenneth Goddard Jr. left this earth to join his beloved creator on November 21, 2018. He was preceded in death by his two sons, William Kenneth Goddard III and William Freely Goddard; both parents William Kenneth Goddard, Sr. and Ida Viola Street Goddard; and his three siblings, Ansel Griffin, Richard Goddard and Louise Cook. He leaves behind his wife of sixty-two years, Iva Carol Smith Goddard, his daughter Elise (Lisa) Henson (Steve), his youngest son Clayton Hall Goddard (Amy), and four grandchildren: Lauren Elise Underwood, William Greyson Goddard, John Grant Goddard and Owen Griffen Goddard and much loved nieces, nephews, cousins, and in-laws. William (also known as W. K., Bill, or “Peepaw” to his grandchildren) was born May 13th, 1929 in Grand Junction, Tennessee. He graduated from the University of Tennessee with a degree in soil science. Upon graduation Mr. Goddard worked for the U.S. Soil Conservation Service (USSCS) in Montana. During the Korean War he was enlisted in the United States Marine Corps. After his service to our country, he rejoined the USSCS working in both Colorado and Tennessee. In 1961 he was hired by the U.S. Forrest Service (USFS). Mr. Goddard served as a soil and water chemist, working out of offices in both Ozark and Russellville, Arkansas. He retired from the U.S. Forrest Service after more than thirty-five years of service. Much of his work involved soils, watershed, and water quality projects in the Ozark and St. Francis National Forests. During this time, Mr. Goddard played a significant role in the opening of Blanchard Caverns in Mountain View, Arkansas. 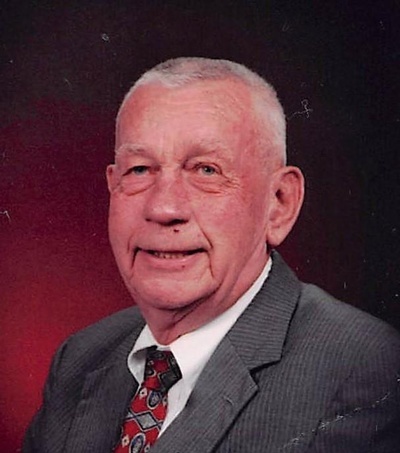 In addition to his occupational contributions, Mr. Goddard also served the communities where he lived through his work as a member of the United Methodist Church, the Ozark Lions Club (Past President), the Toastmasters, and the North Little Rock Optimist Club. Visitation will be on Wednesday, November 28, 2018 from 6:00 P.M. to 9:00 P.M. at Moore’s Funeral Home of Jacksonville, AR. Funeral services will be held Thursday, November 29, 2018 at 2:00 P.M. at the First United Methodist Church of Jacksonville, AR. Burial services will take place on Saturday, December 1, 2018 at 11:00 A.M. in Grand Junction, TN. In lieu of flowers, memorial gifts may be made to the “Freely Goddard Educational Fund” – ICO First United Methodist Church, 6701 JFK Blvd, North Little Rock, AR 72116. OR the First United Methodist Church, 308 W. Main Street, Jacksonville, AR 72076.